June « 2016 « Nothing in Biology Makes Sense! On this installment of Planet Earth we dive into the depth of Jungles, which really means we stroll down past the canopy, the upper forest, all the way down to the floor of the jungle to see the creatures that thrive where light barely reaches. The biggest update since Planet Earth aired 10 years ago, is the general deforestation and specific poaching of jungle trees. While most articles focus on the amazon (which wasn’t the specific focus of this episode), it can generally be applied to other jungles as well. And importantly for all the animals mentioned in this episode, the deforestation of the jungles affects their habitats. David Attenborough tells us that fig is the #1 fruiting tree that is used to sustain life. However, even figs are specifically being targeted, which puts the vast numbers of vertebrates (from Howler monkeys to birds) in jeopardy. Now the frogs are a kind of confusing update, because there are competing factors that are threatening amphibian populations worldwide. First and foremost we need to talk about pathogens (love me some parasites…), specifically the chytrid fungus. This devastating pathogen can cause up to 100% mortality in some amphibian populations. However, there is some evidence that chytrid is being amplified by climate change, which is resulting in the perfect temperatures for the spores to proliferate. Finally, habitat degradation, and warming climatesare causing problems for frog species independent of chytrid , especially those specialized to the specific habitat of the jungle. So as adorable as our little frog friends were, sneaking into their mating practices, we may not be seeing them around for much longer. 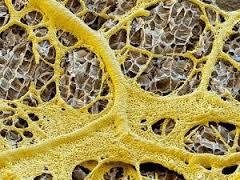 While only talked about for a moment, slime molds may be WAY cooler than they even looked in this episode. Check out the cool new research. Slime molds are actually cooler than even this episode made them look. Additionally, beetles were only mentioned briefly, but are worth mentioning here. J.B.S. 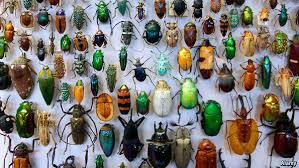 Haldane was asked what he knew of the creator based on his studies of biology and famously noted that “The Creator, if He exists, has an inordinate fondness for beetles”, due to their abundance world wide (in terms of number of species the beetle CANNOT be beat). However, it turns out that beetle populations worldwide are declining. While the reasons for this vary (see above under “reasons frogs are declining”), and is not consistent across all beetle populations (see “most number of species worldwide”) it is a general pattern worth noting. As someone who teaches parasitology let me tell you a little fact. People love “zombie” parasites. Every year I teach students about Captain Higgins, which is not a spore (like the awesome fungi talked about in the Jungle episode) but a flatworm that manipulates its host to further it’s own lifecycle. It even uses ants! Read about it over at the Oatmeal Comic. 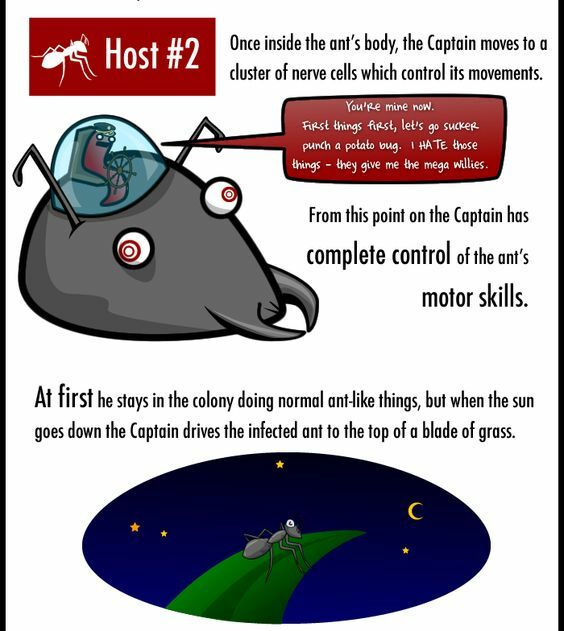 From the Oatmeal comic about the flatworm “zombie” parasite Captain Higgins. 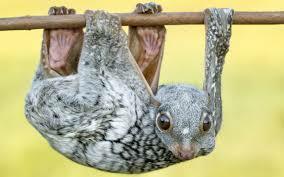 Finally the flying lemur, which has been trucking along. Because of the phylogenetic and morphological uniqueness of this species, it is under constant surveillance for better conservation efforts. Because of their limited dispersal abilities, deforestation is especially threatening to the lemurs (not really lemurs, but we’ll call them that for simplicity). Additionally, they are hunted, in different areas for varying reasons. In some places their consumed as a delicacy, in others they are hunted for hats. However, in Samar they are killed because the local culture thinks they are evil. 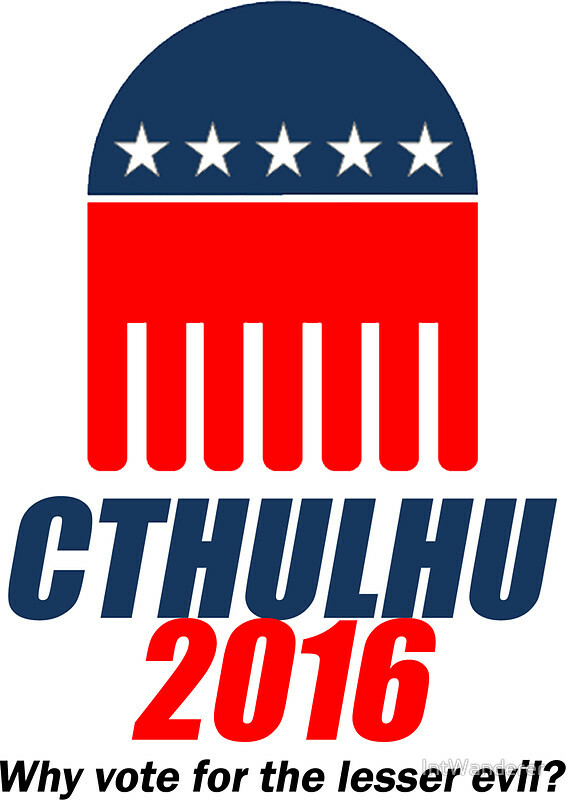 So… that happened. 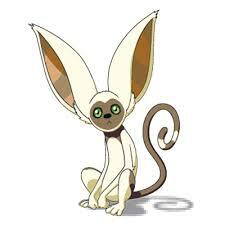 Flying lemurs look like this in real life. Overall, things in the jungle are largely changing because of how we are moving in on their territory. Stay tuned for “Shallow Seas” up next. 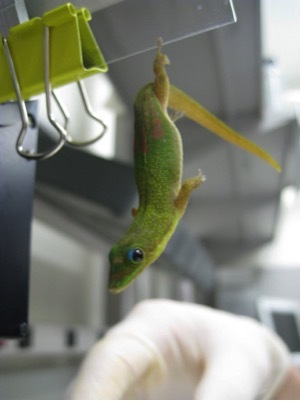 Measuring animal superlatives: How strong are gecko toe pads? One thing I learned from doing the Planet Earth posts is that we are OBSESSED with superlatives. The world’s largest animal, smallest amphibian, fastest runner, highest jumper, we cannot stop looking for the best, worst, most in animals. And along those lines, Dr. Travis Hagey set out to test how adhesive gecko toe pads are. 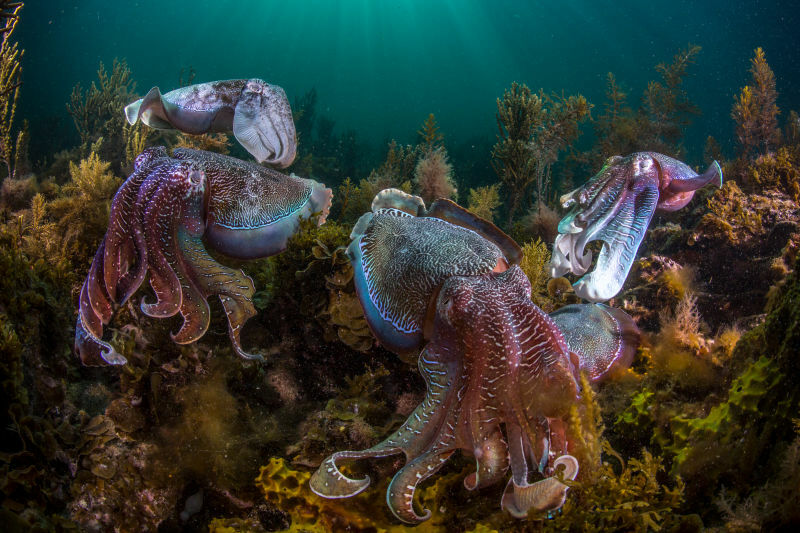 Are they the most sticky surface in the animal kingdom? Find out here! Arguably one of the best studied systems for coevolution resides in the mountains of Oregon: a very toxic newt and the very resistant snakes that eat them. 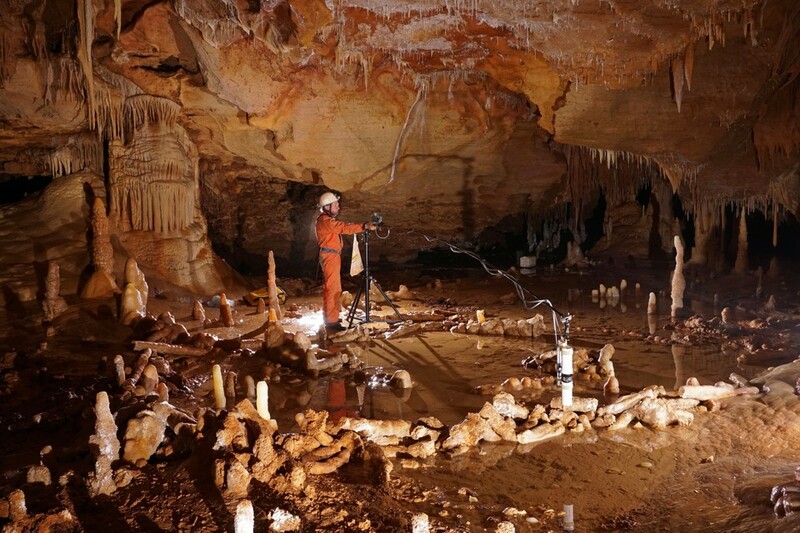 How did it become the best studied system for coevolution? The story starts when a young undergraduate student heard a story about three hunters who were found dead at their campsite, with no sign of theft, struggle or foul play. The only explanation of their mortality was a newt, that had accidentally been boiled in their coffee pots. Curious as to how a newt could take down three grown men, our undergraduate, Edmund Brodie Jr. He dedicated years to studying these newts, while his son, Edmund Brodie III, focused on the snakes. 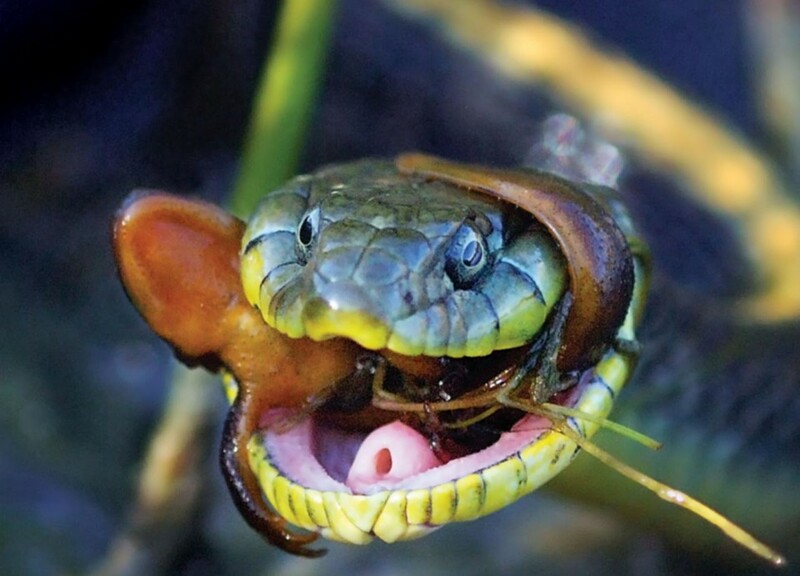 Read an excellent article from one of my favorite science writers (Ed Young) all about the decades long saga, and how cool these newts and snakes really are.